As the global expert on labor market and employment trends, ManpowerGroup is frequently sought after by national and global media outlets for its expert insights into forces evolving the world of work. Here are a few recent samples of media articles and interviews featuring ManpowerGroup’s unique perspective. MILWAUKEE, Feb. 12, 2018 /PRNewswire/ -- ManpowerGroup (NYSE: MAN), the leading global workforce solutions company, has been recognized for the eighth consecutive year as a World's Most Ethical Company by the Ethisphere Institute, a global leader in defining and advancing the standards of ethical business practices. ManpowerGroup has also been named one of Fortune Magazine's 2018 World's Most Admired Companies for the 15th year in a row, ranking second for the most admired company in the diversified outsourcing services industry. With this double accolade of Most Ethical and Most Admired, ManpowerGroup confirms its position as the most trusted brand in the industry. Fortune's World's Most Admired Companies is the report card on corporate reputation with rankings based on nine key attributes from quality of products/services to long-term investment. ManpowerGroup scored highest in categories including Social Responsibility and Global Competitiveness. Ethisphere's World's Most Ethical Companies recognizes organizations spanning 23 countries and 57 industries that demonstrate concrete ethical leadership within their industries. The 2018 honorees had record levels of involvement with their stakeholders and communities around the world. Measuring and improving culture, leading authentically and committing to transparency, and diversity and inclusion were all priorities for honorees. "Our 70-year legacy of providing meaningful and sustainable employment is built on the belief that running a good business also means contributing to society," said Jonas Prising, Chairman & CEO, ManpowerGroup. "Ethics run throughout our organization at ManpowerGroup and every person plays a role in keeping our ethical compass firmly in place. These recognitions are a testament to our people and our values that are embraced by our employees across the globe, who provide tremendous value to our clients, while helping millions of people develop skills so they can access opportunity and meaningful employment." "While the discourse around the world changed profoundly in 2017, a stronger voice emerged. Global corporations operating with a common rule of law are now society's strongest force to improve the human condition. This year we saw companies increasingly finding their voice. The World's Most Ethical Companies in particular continued to show exemplary leadership," said Ethisphere's CEO, Timothy Erblich. "I congratulate everyone at ManpowerGroup for being recognized as one of the World's Most Ethical Companies." To learn more about ManpowerGroup, visit www.manpowergroup.com. About ManpowerGroupManpowerGroup (NYSE: MAN) is the world's workforce expert, creating innovative workforce solutions for 70 years. We connect more than 600,000 people to meaningful work across a wide range of skills and industries every day. Through our ManpowerGroup family of brands – Manpower®, Experis®, Right Management® and ManpowerGroup® Solutions – we help more than 400,000 clients in 80 countries and territories address their critical talent needs, providing comprehensive solutions to resource, manage and develop talent. In 2018, ManpowerGroup was named one of the World's Most Ethical Companies for the eighth consecutive year and one of Fortune's Most Admired Companies, confirming our position as the most trusted and admired brand in the industry. 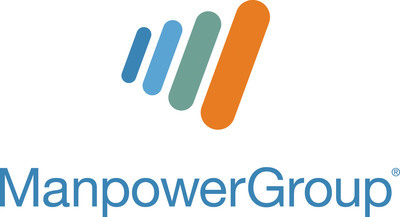 See how ManpowerGroup makes powering the world of work humanly possible:www.manpowergroup.com.